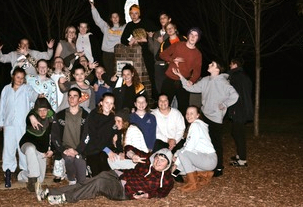 On Friday 11 August, over 30 students from O'Connor Catholic College in Armidale, participated in the St Vinnies sleep-out held overnight on the school grounds. A great success, the initiative helped raise awareness and fundraise for the homeless population in Australia. 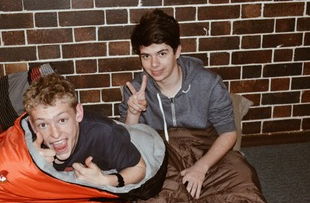 The Vinnies School Sleepout allows students and school communities to get a glimpse of the realities of homelessness on a personal level by 'sleeping rough' for one night. The Sleepout encourages students and teachers to gain a deeper understanding of homelessness, raise awareness of the realities faced by people experiencing homelessness and raise funds to support Vinnies homeless services in the local community. O'Connor's Lasallian Youth Facilitator, Olivia Moore and REC, Mr Roff, attended the sleep over with two other staff members who were equally impressed by the student's enthusiasm and participation to the worthy cause. Students donated food supplies for breakfast and dinner, with all proceeds raised went to the cause.